I am sure you are all aware that the Navy play the Army (Fijians!) at rugby annually at Twickenham and that it is normally sold out. 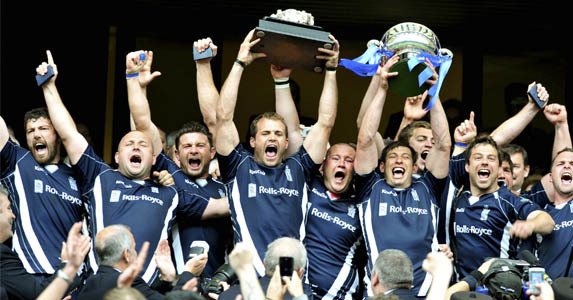 However, you may not be aware that the RN is playing against the RAF at the Stoop, Twickenham on Friday 5 Apr KO 1900. The reason for adding this fixture is because the RAF were unhappy that they weren’t involved in the festivities on Saturday at Twickenham. The RN, in sympathy, as it’s the RAFs 100th year! were prepared to give them a hammering and agreed to play. However, being typical of the Beach folk they are named after they stated the match would have to be held on a Friday as they can’t play over the weekend! It has been proposed that the RNA will run a bus up to the match. The bus will call at Gosport, Fareham Portsmouth and Waterlooville departing 1530ish and returning after the match at 2100. This invitation is open to Shipmates of all local RNA Branches and members from the wider family of Naval Associations (CONA) and their friends and family. Match tickets will cost £10 each and the bus would be free to RNA members and £15 to other Associations/Friends. Members of other Associations will understand that I do not have financial approval from the RNA Trustees to subsidise the bus for non-RNA however as annual RNA membership is £14, it may be worth joining even if only for this benefit of membership. I’m planning another bus to the Inter-Services 20-20 cricket on Thursday 30 May with similar arrangements. If you are interested in coming along to support Our Royal Navy please either phone 02392 23747 or email admin@royalnavalassoc.com. I would also be grateful if you would distribute widely.